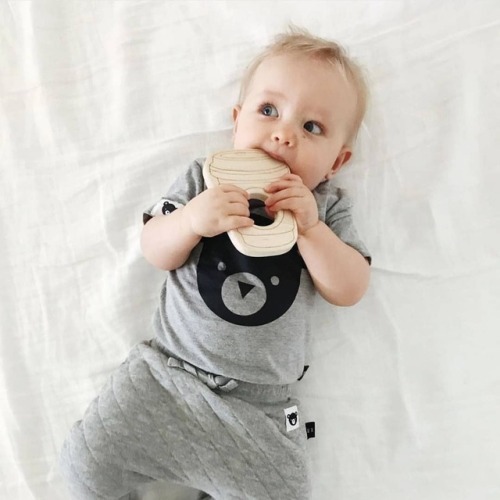 Our decision to use Maple wood for teething toys isn’t a random one! We’ve taken into account it’s properties, sustainability, workability, and appearance to give you the best possible first toy. Hard Maple (also known as Sugar Maple & Rock Maple) is from Northeastern North America and is commonly used for flooring (from residential to bowling alleys and basketball courts), paper, musical instruments, cutting boards, and baseball bats. The Hard Maple tree is also the state tree in four different states and is the most commonly tapped tree for maple syrup. Photo from the wonderful @luxe_everyday!